Experience the adrenaline adventures - float freely in the air stream. The flight time is longer than the free fall jump. This unusual and adrenaline sport is safe for everyone, even for kids aged 4 or 5! From a safe height you can and under the continuous supervision of professional instructors you can try the amazing feeling of of free fall. Skydive arena is the first wind tunnel in the Czech Republic and the only tunnel with circular flight chamber in the world! It has a diameter of 4.3m and an overall height of 14 m and you will know how it feels like when the wind blows at a speed of over 270 km/h. This adrenaline sport is designed for physically healthy people aged 5 to 100 and no previous experience or training is needed. After a short intro you will learn to control your body in free fall even during your first entrance into the tunnel. Flying at Skydive arena is divided into two sections - Funflight and Sportflight. 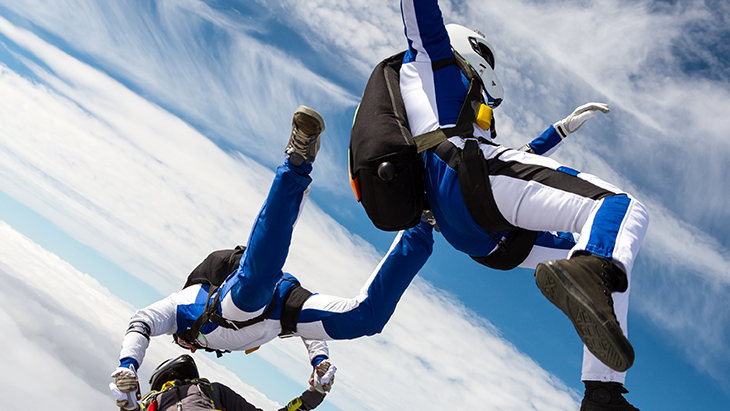 The former is flying for the public, for all of those with no experience with skydiving or flying in a wind tunnel, the latter is designed for those who already have enough experience with free fall or tunnel flying. There is also a restaurant, where you can relax and chat with your friends or family after the flight. For more information see http://www.skydivearena.cz/en.